Obviously it is very important for you and your family to find a physician who is experienced in treating prostate cancer and with whom you can have comfortable and honest conversations about your disease and how best to manage it. Some patients may want to take a very active role in deciding issues of treatment and long-term management. Other patients may feel much more comfortable just finding a good physician and doing as that physician advises them. Either way is okay so long as you feel you are making the decisions that are important for you, and that your doctor is telling you everything you want or need to know. At the bottom of this page, you will find links to a series of articles by some real specialists (a urologist, a brachytherapist, a radiation oncologist, and a medical oncologist) on how they would go about finding someone from their own speciality to treat them if they were diagnosed with prostate cancer. So how do you go about finding the right physician for you? Urologists — Urologists are specially trained in the management of disorders of the male and female urogenital systems. Urologists are surgeons who have then subspecialized in urology. In America the majority of urologists are members of the American Urological Association (AUA). A relatively select group of urologists consider themselves to be subspecialists in urological cancers, including prostate cancer. Many of these subspecialists will belong to an organization called the Society of Urologic Oncology (SUO) and/or the Society of Surgical Oncology (SSO). The majority of urologists are board certified by some appropriate organization — which means that they have passed a rigorous evaluation of their knowledge and experience. In America a board certified urologist would be certified by the American Board of Urology. In Canada, the comparable organization is the Royal College of Physicians and Surgeons of Canada. Nearly every country in the world has a system like this to certify the abilities of specific types of physician. Radiation oncologists — Radiation oncologists are specially trained in the treatment of cancers using various types of radiotherapy. Like urologists, some radiation oncologists will subspecialize and may have particular experience and expertise in the management of prostate cancer and other urologic cancers. In North America, many of these specialized radiation oncologists will belong to the American Society for Therapeutic Radiation and Oncology. Some may belong to other prostate cancer-related societies too (including the SUO and the AUA, mentioned above), as well as to the American Society of Clinical Oncology (ASCO). In the USA, radiation oncologists can be board certified by the American Board of Physician Specialties; in Canada by the Royal College of Physicians and Surgeons of Canada. Physicians who specialize in brachytherapy (radioactive seed implantation) as a technique to treat prostate cancer are likely to have trained as either urologists or radiation oncologists before they became brachytherapists. Such individuals could be members of any or all of the societies mentioned above. They may also be members of the American Brachytherapy Society or ABS. There is no specific board certification as a brachytherapy specialist today, and so such physicians are probably board certified either as urologists or as radiation oncologists. The American Brachytherapy Society offers its own guidance regarding finding appropriately qualified brachytherapy specialists. Medical oncologists — Medical oncologists have received special training in the management of cancer in general and solid tumors in particular. The vast majority of oncologists in North America will be members of ASCO. Oncologists are not normally trained to treat prostate cancer using surgery or radiotherapy. A medical oncologist is most likely to get involved in the management of prostate cancer only after the failure of first-line treatment for localized disease. Medical oncologists are primarily specialists in the use of chemotherapy and hormonal therapies for the management of cancer. The relatively small number of medical oncologists who subspecialize in the treatment of prostate cancer (and other urologic cancers) are also likely to be members of the SUO and maybe the AUA too (see above). In the USA, medical oncologists can become board certified through the American Board of Internal Medicine (ABIM); in Canada, again, board certification is managed by the Royal College of Physicians and Surgeons of Canada. We know of no formal North American organization that is specifically coordinated for physicians who specialize in cryosurgery (yet). Cryotherapy specialists are likely (like brachytherapists) to have trained in some other specialty first. There is also no board certification in cryosurgery. There is, however, an International Society of Cryosurgery. A developing trend is a team approach to the evaluation and treatment of prostate cancer patients. What this means is that a patient can be seen by one or more of a group of physicians that may include a primary care physician, a urologist, a radiation oncologist, a medical oncologist, and sometimes even a psychiatrist. You are more likely to find such a team approach at specialized prostate cancer clinics associated with some major hospitals and universities. There are two basic steps to this process. In the first place, you and your primary care physician need to decide together the type of specialist you need to see initially. For the vast majority of patients, this will be a urologist. Depending on where you live and the type of health care that is available to you, your primary care physician may be able to offer you a referral to one or more urologists. If you belong to some form of health maintenance organization (HMO), you may find that there is a smaller number of urologists to choose from because the HMO has contracted exclusively with those urologists to send them all of the HMO’s patients needing urological care. 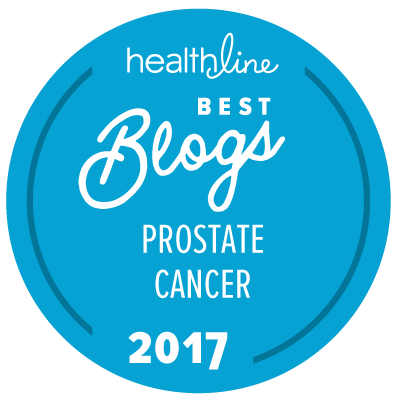 Rarely, if you are unlucky enough to be one of the patients diagnosed with extensive (“metastatic”) prostate cancer, your primary care physician may want to refer you directly to a medical oncologist. The skill, experience, and training of the specialist you are looking for is important, and that can include everything from where he or she went to medical school to how many prostate cancer patients he or she is currently managing (and how well!). The knowledge of other people is potentially valuable. Who do the other doctors in your area consider to be the “best” physicians to help you? What do the nurses at your local hospital think? Do you have friends or relatives who have had to see a prostate cancer specialist? If so, what was their experience like? … there is no correlation between surgical skill and how well a doctor speaks or how many articles and books he may have written. The doctor should be judged on his or her own merits. Whether or not he or she practices in a community setting or at a powerful university teaching center has nothing to do with the doctor’s skills. What you really want is a caring and compassionate [physician], technically excellent, with a good track record, outstanding judgment, a history of minimal complications [if he or she is going to be your surgeon] and happy patients and referring doctors. This is still true today, whether your physician is a urologist, a radiation oncologist, a medical oncologist, a brachytherapist, or any other specialist you choose to consult.